We’re pleased to join Global Witness Limited in an important brief pushing back against a First Amendment claim by the National Association of Manufacturers and other corporate interests. The case comes from a provision of the federal Dodd-Frank Act addressing “conflict minerals” from the war-torn Democratic Republic of the Congo. 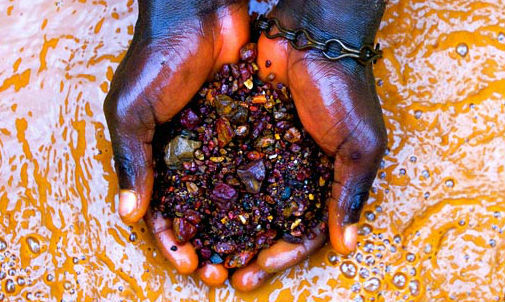 As we’ve written before, this law—which was applauded by humanitarian groups such as Global Witness, churches, and many others—requires publicly-traded corporations that use certain minerals in their manufacturing to either certify their products as “conflict-free,” or disclose the countries and mines that are the source of the raw materials. That disclosure would help investors and customers understand which companies trade in conflict minerals that may benefit armed warlords. But then in July, the full D.C. Circuit court heard yet another corporate First Amendment claim, and the court finally had enough. It heard a First Amendment challenge to a federal law requiring a label on fresh meat packages, identifying which country the meat came from. The court not only rejected that claim, but also ruled that the earlier rogue decisions were based on faulty reasoning, and threw them out too. This is a heartening development, though as we’ve written elsewhere, the Supreme Court may yet save industry’s bacon. In the meantime, though, the original panel that heard the “conflict minerals” case reopened its earlier decision and called for additional briefing. Free Speech For People decided to partner with Global Witness, an organization with substantial expertise in how natural resources caught up in international conflict can lead to poverty, instability, and environmental damage, and deep knowledge about the conflict minerals provision. Our joint brief, prepared with the assistance of Connecticut-based law firm David Rosen & Associates, pushes back against the manufacturing corporations’ First Amendment claims. The problems in the Congo may not have easy solutions. But this case does. Publicly-traded manufacturing corporations don’t have a First Amendment right to hide information about their manufacturing processes from the American public. Download the amicus brief, here. This entry was posted in Uncategorized and tagged conflict minerals, Corporate First Amendment Claims, Global Witness.